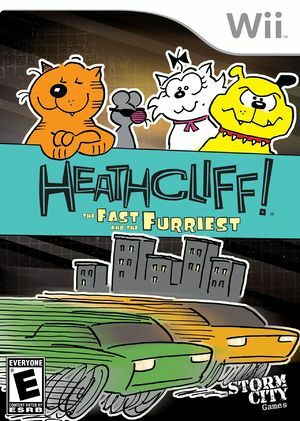 In Heathcliff! : The Fast and the Furriest alien cat-like creatures have spent an eternity traveling through space, looking for a new place to call home, and have landed just outside Heathcliff's hometown! They abduct Sonja, and demand Heathcliff win a racing challenge to get her back. The graph below charts the compatibility with Heathcliff! : The Fast and the Furriest since Dolphin's 2.0 release, listing revisions only where a compatibility change occurred. This page was last edited on 11 January 2018, at 12:10.